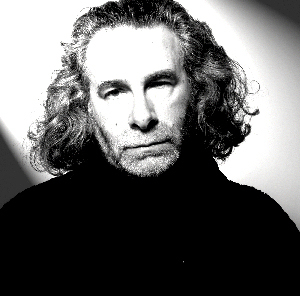 Kevin Godley is a multi-media master, having directed many of the coolest music videos you’ve ever seen. But before that, he was half of Godley & Creme and 1/4 of 10cc, singing, drumming, and mostly coming up with ideas, ideas, and more ideas. Today he runs Whole World Band, a platform for collaborative video creation, and recently released his iBook autobiography Spacecake, but he still performs on occasion, and for the first time produced some solo music as part of his soundtrack to the audioplay Hog Fever . On this episode of the Nakedly Examined Music podcast, we first discuss his song from that project, “Confessions” (2015), then “Punchbag” from the Godley & Creme album L (1978), “Barry’s Shoes” from GG06 (2006), and finally play “Lost Weekend” (feat. Sarah Vaughan) from Consequences (1977). Here’s that BBC documentary on 10cc I mention in the episode. Watch the G&C video for “Cry,” which presages Michael Jackson’s “Black or White” by several years. Read about G&C’s invention, the Gizmotron. Take a look at this site dedicated to G&C’s album Consequences. Here’s “Donna,” that ’50s tune we mentioned, which was 10cc’s first hit (the first singer being Lol Creme, the second being Kevin). That 1975 10cc tune that we mentioned as being a precursor to Queen’s “Bohemian Rhapsody” is “One Night in Paris.” Finally, here’s Ramases, who 10cc backed in 1971 on a hippie prog space album.